This is a card depicting a farmer with crops and livestock in the background. He is standing next to an automobile with prosperity written on the hood. 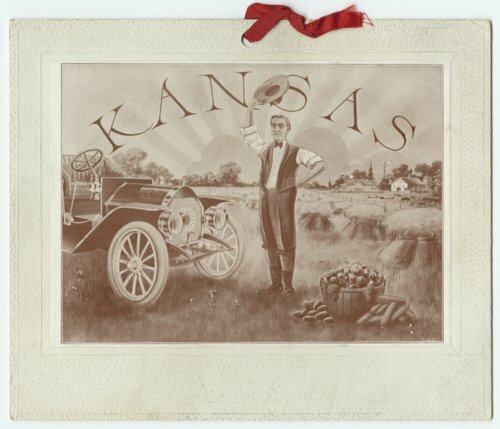 On the reverse side is information about Kansas products and livestock. F. D. Coburn, Secretary of the Board of Agriculture, signed the card.